To add a new special tuition class, firstly navigate to the teacher's timetable who is taking the class. From here, clicking 'Actions' at the top right of the window will show you the 'Make Editable' Option. Select this, the grid will become editable and you can click into any blank cell to see what we have below. There are various options here, but for now lets focus on 'Add New Resource Class'. This allows us to link an existing teaching group to the new special tuition class. The list of classes you can link is filtered to the classes that are scheduled at that time. 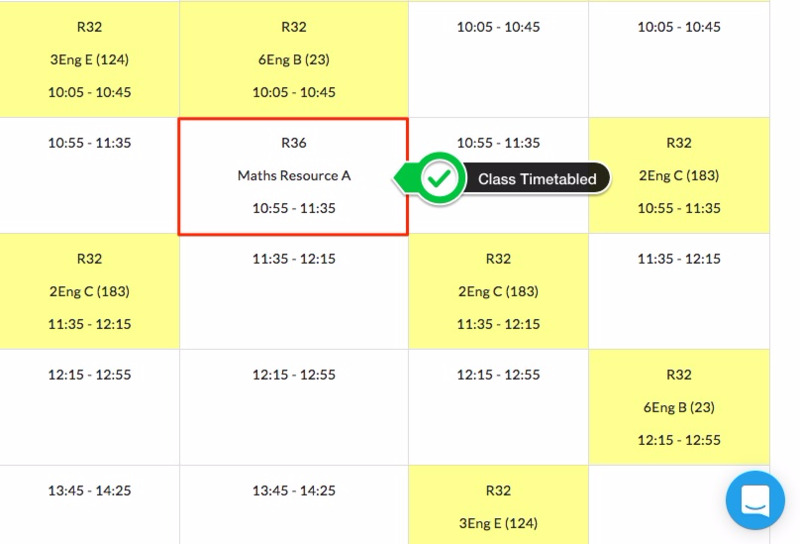 Linking allows us to dynamically create a new block with the selected teaching group and the new special tuition class. 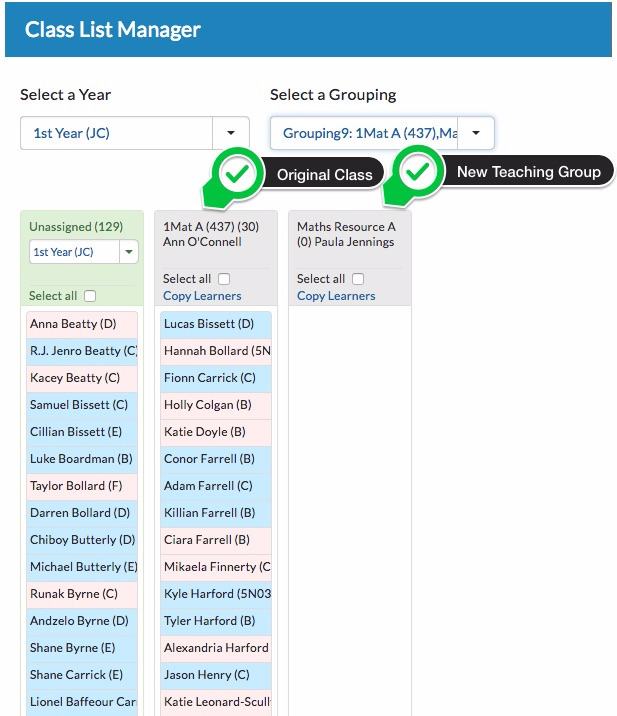 This means class list manager is configured automatically to allow you to move students between the two teaching groups. We then can specify a room, and name our teaching group. Once happy, you can click 'Save' to confirm the edit. 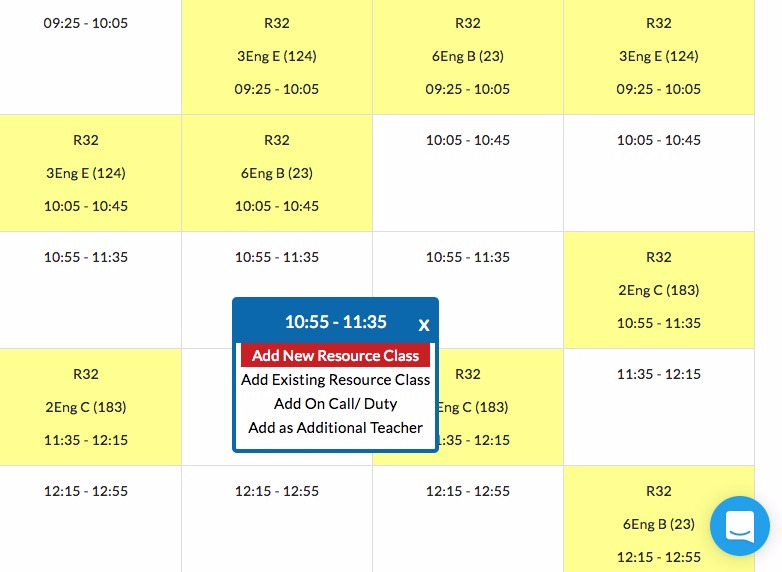 You will then see the new teaching group placed on the teacher's timetable as shown in the screenshot below. Following on to class list manager, the teaching group will be added along side the block in which the teaching group is a member of. Or in the case of it being a core class, a new block containing the two teaching groups will be created as shown below. 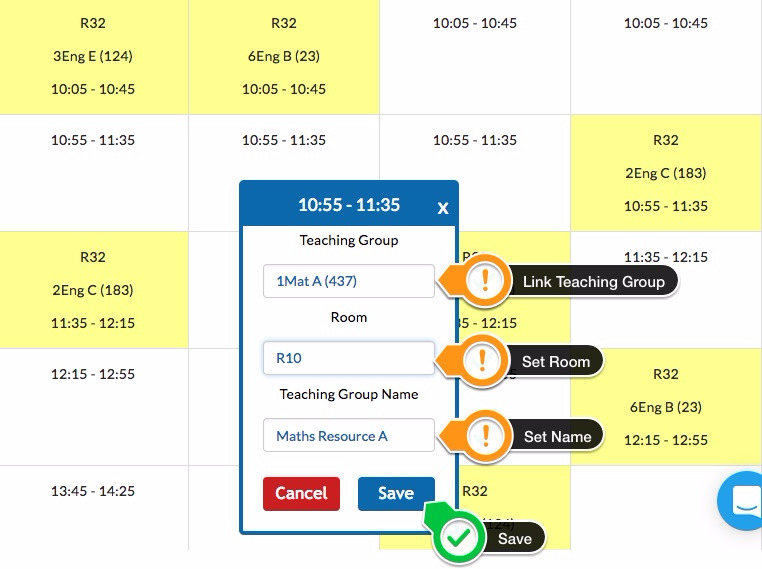 Allowing you to move students between the two teaching groups.